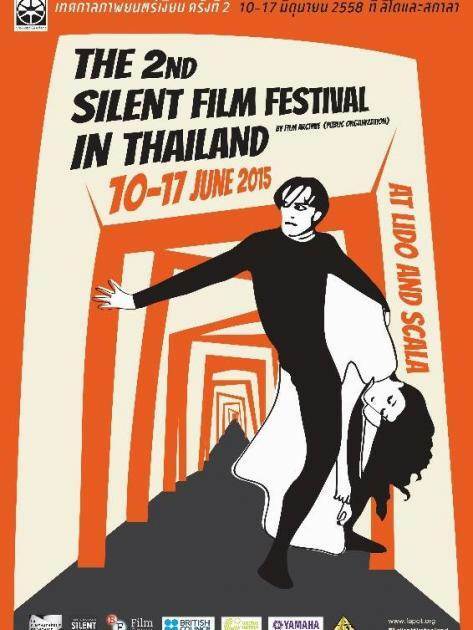 Film Archive (Public Organisation) together with British Council (Thailand) will be organising the 2nd Silent Film Festival in Thailand on 10th - 16th June 2015 at Lido. The closing programme will be on 17th June at Scala. This year, the festival features 10 silent classic titles accompanied by live music by famous pianists - Stephen Horne from United Kingdom, Mauro Colombis from Australia, and Dr. Anothai Nitibhon from Thailand. The opening film is The Cabinet of Dr. Caligari (1920), a well-known German Expressionist silent film. The closing film is The Epic of Everest (1924), a documentary film showing the legendary Everest expedition of 1924. All proceeds from the closing programme will be donated to aid the victims of the Nepal earthquake.